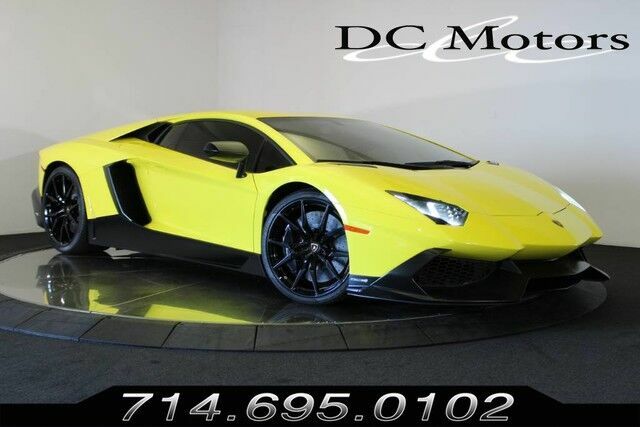 50th Anniversary Edition Aventador. $536K MSRP. Optioned with Inverted Stitching (interior), Carbon Fiber Engine, Lamborghini Sound (exhaust), Power & Heated Seats, Carbon Fiber Interior. Clean CARFAX. Available for a limited time. For more information about this vehicle and attractive financing options, please call our experienced sales team at 1-800-730-MOTOR.